Back in April, I was in San Diego for a 2 week conference. On a few occasions, during my lunch break, I would frequent the near buy jewelers and watch shop. I randomly walked by a store and saw a Royal Oak in the window. Going against all common sense, I decided to go in and inquire about the model. The Royal Oak has been on my bucket list for years, but have never pulled the trigger. Turned out to be an early 2000s 14790 with all box and papers. Other than some finishing issues from polishing, the watch was immaculate. 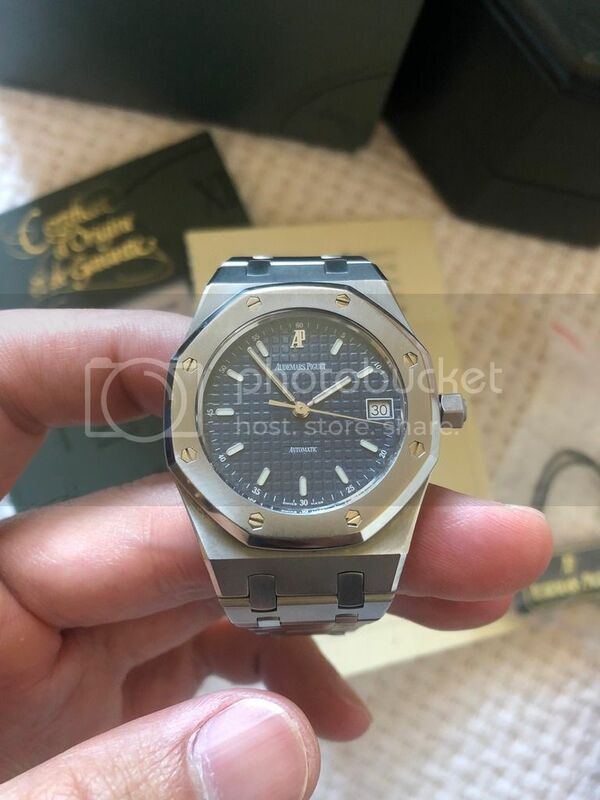 To top off the stupidity, I had a 15400 on order and low and behold my AP dealer texted me last week telling me my watch was in. That is a story for another time, but I wanted to share my first AP RO story with you guys.